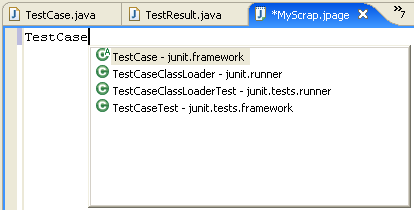 The scrapbook editor supports code assist similarly to the regular Java editor. For example, type TestCase in the scrapbook editor and press Ctrl+Space. Code assist prompts you with possible completions.